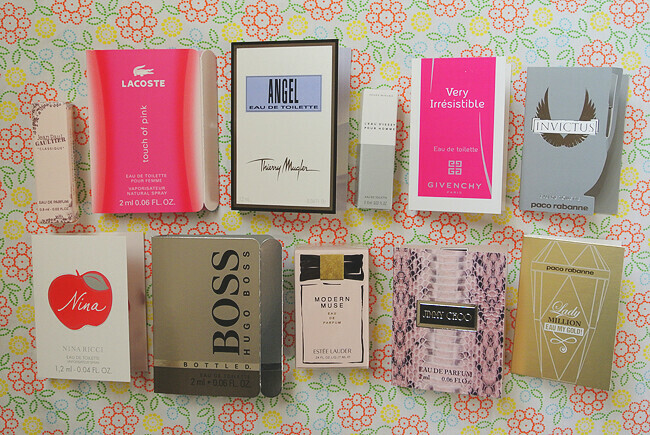 I'm a big fan of perfume samples, I think they're a great way to find new fragrances without spending a fortune. I've racked up quite a few over the years due to many beauty boxes and department store shopping. I've purchased a fair few full sizes too, thanks to scents I've fallen in love with in miniature form. 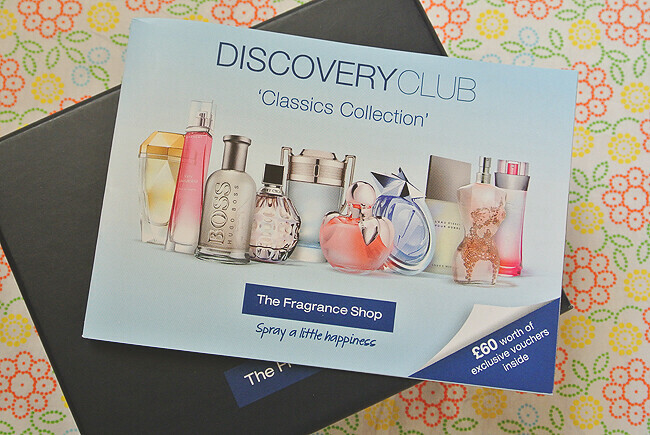 The Fragrance Shop have come up with Discovery Club, which does exactly that. Enables you to discover new perfumes for a fraction of the price. For as little as £5 a quarter you can have this little box straight to your door. It includes both female and male scents and you can cancel at anytime. The little booklet gives you information about each individual sample as well as £5 off vouchers. 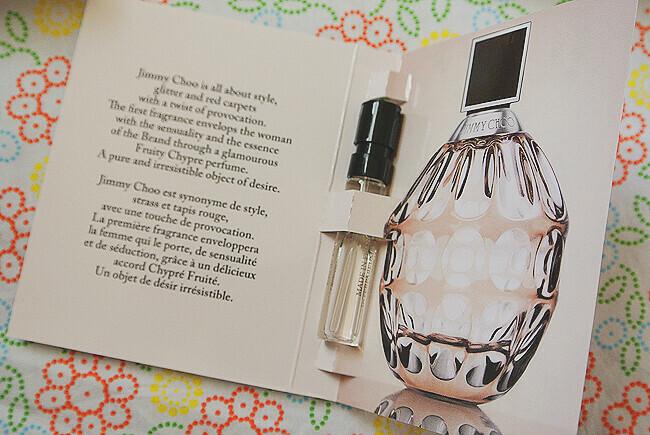 This is perfect for those who like to mix up their daily perfumes and try something new. I've already used up Nina Ricci - Nina, it's so dreamy! I love this box and I've already signed up to the next one! What a great idea especially for a fellow perfume addict! This is such a fabulous idea! Definitely going to try it out!